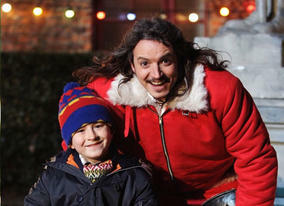 Rhestr Nadolig Wil has won Best Drama at the EA Bafta Children’s Awards. It was the first production I worked on when I was on a CYFLE traineeship, which feels like a long time ago now. It was first broadcast over Christmas last year, no doubt S4C will dust off the tape and give it an airing again this season. Congratulations to Boomerang and everyone involved in the production.